purple agate stone , natural purple agate ,is a helpful gemstone when you want to keep your best condition. Purple agate stone has a meaning and properties of adjusting energy balance. It would give you positive energy if you are gloomy and it would save your power if you have too much energy. What`s more, Purple agate stone is used to enhance owner`s creativity. Many famous artists and designers highly support it. 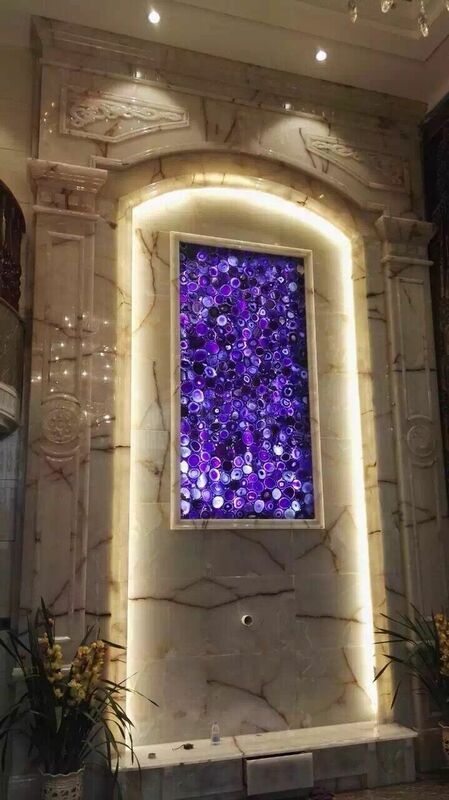 semi precious slabs series -- purple agate slab, surface finish is polished, Size normally 240*120*2cm,thickness is 2cm (normally 0.5cm purple agate +1.5cm natural commercial stone or artificial stone/glass/Acrylic, max size can be 300*180cm, size can be custom). 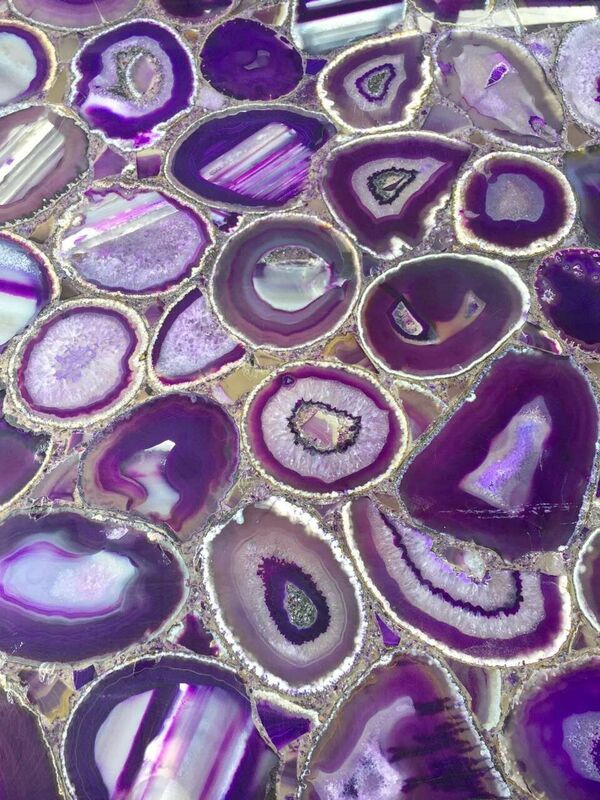 Mainly being applicated as wall tiles, table top, countertop-..
We normally produce purple agate slab with small agate slice ,purple agate is dyed color. if you prefer this purple agate slab to be translucent, you can laminate the slab with glass or acrylic. 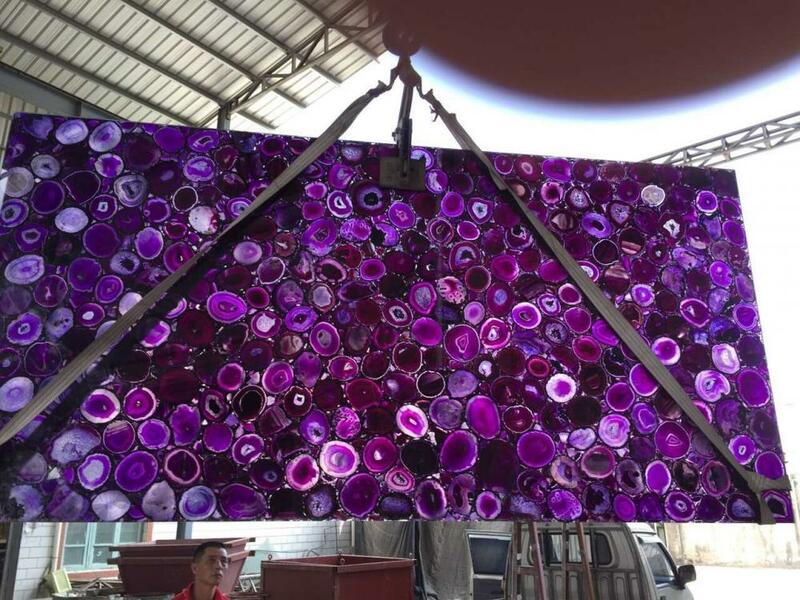 Translucent purple agate slab is full of bright and fantastic colors and warm atmosphere. For purple agate slab price, please consult with HR STONE which has purple agate slabs for sale. Agate stone slab with various color, welcome to contact us for details. Looking for ideal Purple Agate Stone Manufacturer & supplier ? We have a wide selection at great prices to help you get creative. All the Natural Purple Agate are quality guaranteed. We are China Origin Factory of Purple Agate Slab. If you have any question, please feel free to contact us.